DevOps brings together people, processes and technology, automating software delivery to provide continuous value to your users. With Azure DevOps solutions, deliver software faster and more reliably – no matter how big your IT department or what tools you’re using. Take advantage of continuous integration to improve software development quality and speed. When you use Azure DevOps or Jenkins to build apps in the cloud and deploy to Azure, each time you commit code, it’s automatically built and tested – so bugs are detected faster. Ensure that code and infrastructure are always in a production-deployable state, with continuous delivery. By combining continuous integration and infrastructure as code (IaC), you’ll achieve identical deployments and the confidence you need to manually deploy to production at any time. With continuous deployment, you can automate the entire process from code commit to production if your CI/CD tests are successful. Using CI/CD practices, paired with monitoring tools, you’ll be able to safely deliver features to your customers as soon as they’re ready. Automate provisioning and configuration of environments using IaC. Capture environment definitions as declarative code, such as JSON or YAML. Then, reliably provision an identical environment with DevOps tools including Azure Resource Manager, Terraform or Ansible. Monitor infrastructure health with Azure Log Analytics and Azure Monitor and integrate into existing dashboards like Grafana or Kibana. Azure Application Insights provides actionable insights through application performance management and instant analytics. Using DevOps tools such as Chef Automate or Azure Policy, you can manage provisioned infrastructure and applications to ensure compliance. 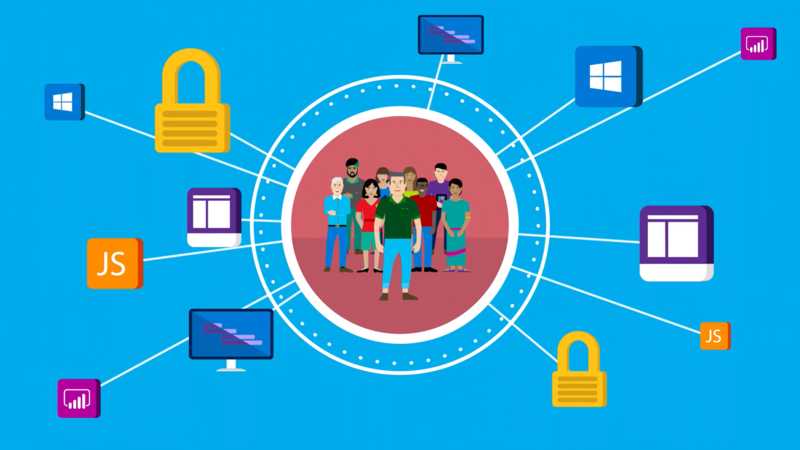 Combined with services like Azure Security Center, you’ll limit your exposure to threats and quickly find and remediate vulnerabilities. Azure App Service is a fast and simple way to create web apps using Java, Node, PHP or ASP.NET, as well as supporting custom language runtimes using Docker. A continuous integration and continuous deployment (CI/CD) pipeline that pushes each of your changes automatically to Azure app services allows you to deliver value to your customers faster. Azure is a world-class cloud for hosting virtual machines running Windows or Linux. Whether you use Java, Node.js, Go or PHP to develop your applications, you’ll need a continuous integration and continuous deployment (CI/CD) pipeline to push changes to these virtual machines automatically. 1 Change application source code. 2 Commit code to GitHub. 3 Continuous Integration Trigger to Jenkins. 4 Jenkins triggers a Packer image build to create a VM and stores it as a VM image using Azure Managed Disks. 5 Jenkins triggers Terraform to provision a new Virtual Machine Scale Set using the Azure Managed Disks VM image. 6 Azure Log Analytics collects and analyses logs. 7 Monitor application and make improvements. Containers make it easy for you to continuously build and deploy applications. By orchestrating the deployment of those containers using Azure Kubernetes Service (AKS), you can achieve replicable, manageable clusters of containers. By setting up a continuous build to produce your container images and orchestration, you can increase the speed and reliability of your deployment. 4 Jenkins triggers a build job using Azure Kubernetes Service (AKS) for a dynamic build agent. 5 Jenkins builds and pushes Docker container to Azure Container Registry. 6 Jenkins deploys your new containerized app to Kubernetes on Azure. 7 Container Service (AKS), backed by Azure Cosmos DB. 8 Grafana displays visualisation of infrastructure and application metrics via Azure Monitor. 9 Monitor application and make improvements. Use a fully featured enterprise platform for implementing CI/CD with Jenkins. Build, deploy and manage your applications and infrastructure at speed with the Chef Automate platform. Scale IT automation and manage complex deployments across physical, virtual and cloud infrastructures. ObjectSharp focuses on agile development and software and process automation. Engineers work with clients as members of their IT teams. DevOpsGuys provides cloud strategy, migration and operation services and is a Microsoft Gold Certified Partner for Cloud Platform and DevOps. Avanade provides digital and cloud-enabling services, business solutions and design-led experiences, delivered through the Microsoft ecosystem. We can help you get started with DevOps solutions on Azure. Tell us a little about yourself and an Azure team member will get in touch.